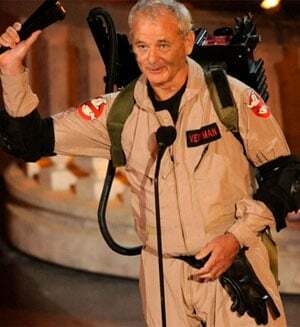 Bill Murray continues to play the spoiler when it comes to putting together a new Ghostbusters movie, but that doesn’t mean he won’t still fit into his old ghost busting uniform. When Zombieland won the awards for “Best Horror Movie” at the Scream Awards this weekend, he showed up in full, Ghostbusters regalia. 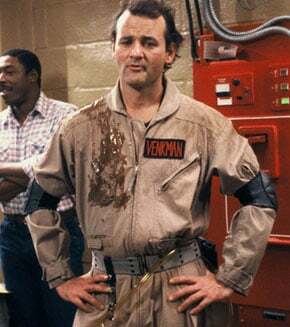 See the photo of Murray back in costume even bigger over at Laughing Squid.